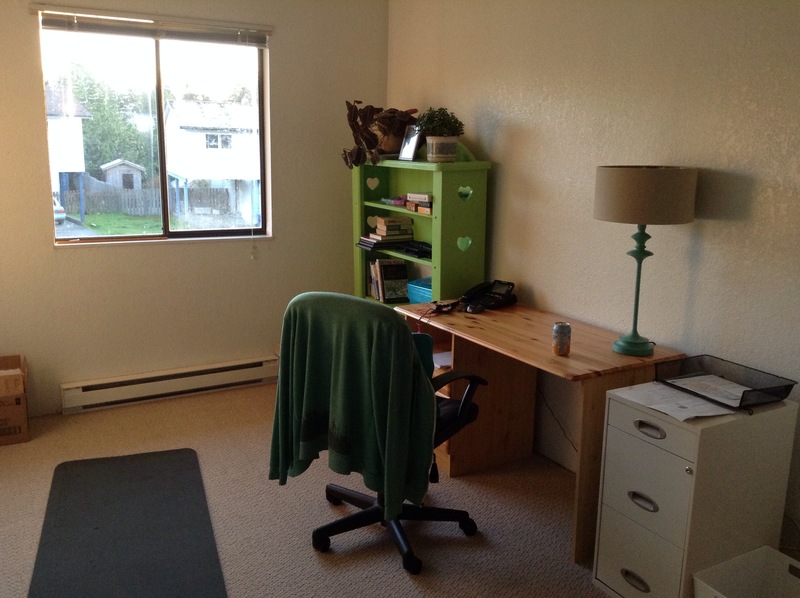 My new office space – oh yes, I have a whole room to myself. Books aren’t unpacked but bills are organized. How do you like my lamp? I initially had put the desk in front of the window, but the view of the neighbourhood children playing in the park across the street was too distracting, and the direct sun is too hot in the afternoons. The vision for this room is to have a little pull-out sofa in front of the window so I can sit there to read and write sometimes, and so this space can double as a guest room. Very nice space! I love how the lamp matches the bookcase!